Health warnings about diabetes and obesity are on the rise. In Sugar Detox Plan, an expert medical team explains how and why sugar has become the villain of the modern diet. Why is it bad for you and what can you do about it? 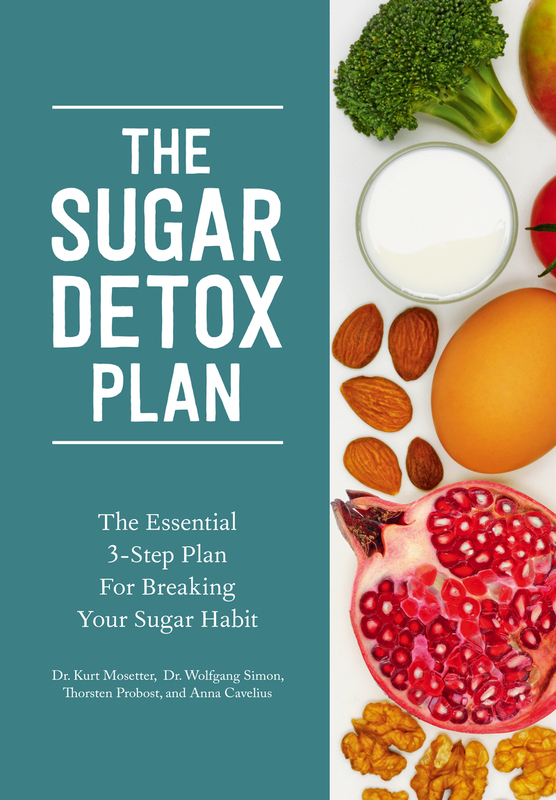 Learn about alternative sugars and follow the practical three steps to reduce your sugar intake, eat healthy, and enjoy more exercise. This book includes a full range of healthy and delicious sugar-free recipes to get you started. Dr. Kurt Mosetter is a physician and medical practitioner. He studied Medicine at the Albert-Ludwigs-University in Freiburg. He is the founder of Myoreflextherapy (www.myoreflex.de) and, since 2011, has been the doctor for the American Men’s soccer team. Thorsten Probost focuses his recipes on the natural taste of fresh foods. Since 2009, he has been President of the Association of Young Restaurateurs in Austria. Dr. Wolfgang Simon studied biochemistry in Tubingen, chemistry at the Technical University of Berlin, and has a doctorate from the University of Konstanz. He worked for many years in biochemical research in Konstanz, with periods of research at UCLA and in Guildford, England. Anna Cavelius has an MA in philosophy and has worked as a freelance science writer and ghostwriter since 1995. She has co-authored several books on topics including cancer prevention, hormones, and weight loss.